It seems like years ago now when the refrain – semi-joking, semi-hopeful – began making the rounds: USC is a basketball school. USC wasn’t a basketball school, of course, no more in July through September than it has been any other time in its history. But the idea was a powerful one, made all the more alluring during those summer and early fall months when Clay Helton’s football season from hell began and Andy Enfield’s had yet to get off the ground. 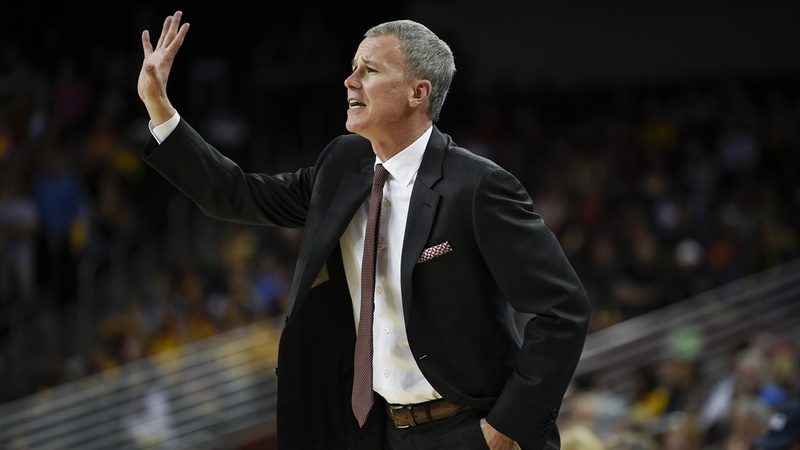 Andy Enfield is 110-93 in six seasons at USC including two trips to the NCAA Tournament. While Helton began to underachieve at a blue blood, Enfield was still drafting off the best three-year stretch in the history of a largely mediocre program. As Helton and his assistants slogged on the recruiting trail, Enfield and a crew of dogged recruiters gave USC the best recruiting class in the country through the early signing period. Helton’s team seemed to be in a tailspin. For Enfield, the best was yet to come. But then basketball season actually happened. The ensuing five months chipped away at the veneer, bit by bit, until the shine was firmly off the apple. Now, Enfield enters next season in unfamiliar, uncomfortable waters. He has rallied from disappointing results and he has successfully borne the weight of expectations but never before has he needed to both in the same season. Now, he will. So many things went wrong en route to that deflating 16-17 record, the Trojans’ worst since Enfield’s second season in charge. Many of them were out of his control. Enfield was not responsible for the spate of injuries that gnawed at his depth chart for most of the first half of the season any more than he could anticipate a weak Pac-12 robbing USC of any chance for a signature win to catapult itself back up the standings. We’ll never know the true origin of Kevin Porter Jr.’s disciplinary issues but even in the worst-case scenario, it’s hard to pin too much blame on Enfield for a player’s off-court missteps. No coach, even on their best day, can elevate everything. But there is also plenty that he could. It was telling that, in the aftermath of last Thursday’s season-ending heartbreak against Washington, Enfield pinned the loss on the last three minutes, a time that he called “a microcosm of our whole season” for its cornucopia of turnovers, missed free throws, bricked shots and shoddy defense. The subtext was obvious to everyone but, perhaps, him: If these were known issues all year, why couldn’t they be improved upon? Why couldn’t a veteran-heavy squad, whose five leaders in minutes played were all upperclassmen, weed out the mental errors? Why was it so hard to spot demonstrable improvement in the backcourt? It’s a blurry, futile task to pinpoint exactly where Enfield’s shortcomings end and the players’ began. What isn’t is to point out that the mental toughness that defined the tournament teams of 2016 and 2017 was woefully absent in 2019, and that mentality, especially in the college game, is the arena of great coaches. Five years into Enfield’s tenure, we can safely say that, for the time being, Enfield is not that. At the very least, though, he has a good one – and good is far, far better than what Trojan basketball has enjoyed for much of its existence. It would, and should, take far more than one lackluster season for wonder whether his time is running out at USC. Is Enfield the sort of coach who can make a good team great the same way he made a bad team good? Far more men are capable of the latter than the former, and Enfield would still represent a success story if he ultimately falls into that camp. That’s especially true in the context of the Trojans’ current recruiting efforts. This year’s five-man class comfortably ranks as the best in program history between a pair of five-star big men (Isaiah Mobley and Onyeka Okongwu), a solid four-star point guard with a national offer sheet (Kyle Sturdivant) and a pair of four-star wings with intriguing physical potential (Max Agbonkpolo and Drake London). But it’s next year’s haul, which will almost certainly be headlined by Evan Mobley – brother of Isaiah, son of USC assistant coach Eric and currently the best player in the class of 2020 – that ought to cement Enfield’s job security. 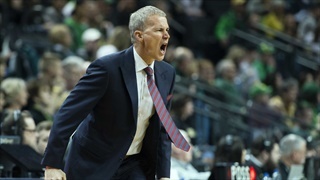 No one throws away a winning lottery ticket and the prospect of a possible future number one overall NBA Draft pick plying his trade at USC would be a history-making boon to the program irrespective of how many wins the Trojans ultimately pile up. Short of a scandal, nothing and no one is forcing Enfield out if Evan Mobley is coming to Troy. Yet a second underwhelming season would, if nothing else, prompt a significant question: Is Enfield the sort of coach who can make a good team great the same way he made a bad team good? Far more men are capable of the latter than the former, and Enfield would still represent a success story if he ultimately falls into that camp. But for the first time since Tim Floyd, USC is approaching the precipice of wondering, with a straight face, what it will take to get to that next level. The answer could very well be to stay the course with Enfield. He has earned every possible benefit of the doubt to prove that should be the case. But solid proof – or at least a down payment – will be required starting next season to ward off any concerns before they happen. That’s a cruel place for the reviver of USC basketball to find himself in. But it’s all part of becoming a basketball school.